← Am I insane or just a normal runner? Well, the legs & feet haven’t really been hurting so much as feeling really stiff & tight. Sure, they are sore to a certain extent, but not as much as I would have expected given the length of time since my last long run. Got up this morning & they were still pretty tight & twinging a bit. I decided to go for an easy run to loosen them up a bit. Did it work? You betcha!! My legs & feet feel fantastic at the moment! It helped that I ran in my Vibrams too… I think it’s time to demote the old shoes to lawn mowing shoes. According to my running log, they have now hit 462 miles, so I’d be looking out for new shoes anyway! Made a bit of progress on the hat for my niece. Oh, and I crocheted up a couple headbands for myself since I’m trying really hard to stay patient & let my hair grow out. It’s at that annoying stage where I can’t stand how it looks – I just need to wait for it to get a bit longer before the urge to revert back to my usual pixie cut will go away. 1. Stick to your training plan as close as possible! 2. Keep a sharp eye on your nutrition – especially the night before a race. 3. If your gut tells you to eat a banana before the race, do it! 4. Just because you had no trouble with a gel before does not mean it won’t give you problems during a race! 5. In my case, it is vital to keep taking medicine & iron pills. 6. Wearing shoes you haven’t been running in for a month is generally a bad idea. 7. Do not start off too fast! 8. Explaining Doctor Who to someone who’s never heard of it really does help pass the time. 9. Giving up those stupid Facebook games leaves tons of free time for running & knitting! 10. String cheese & green grapes is a tasty breakfast after a run. 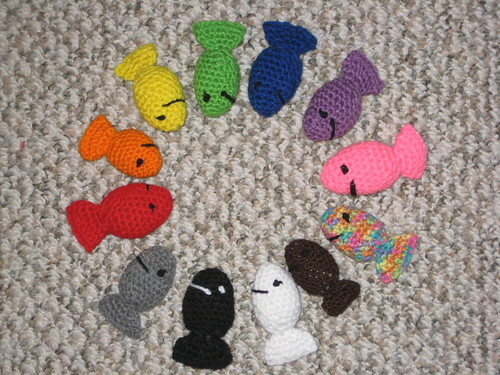 As always, these are not mine ~ click the picture to go right to the Ravelry pattern page! * This is a really neat pattern I hadn't seen before - cool! * What a fantastic idea for toddlers! Sorting, counting & colors - I love it! 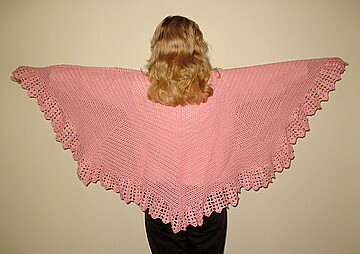 * A warm wrap for winter, it looks like it would be quick to crochet! * I really like this hat, it's not too busy, but looks classy! Mug hugger! A pattern from Patons - I like it! 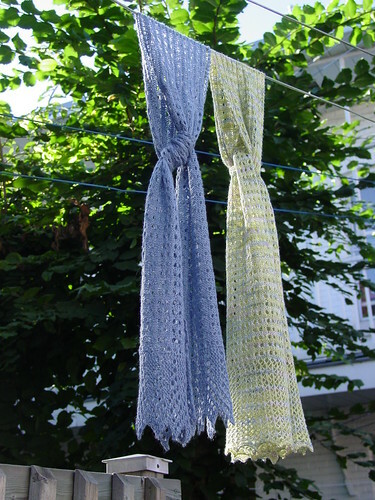 Fundamentals of lace - very nice! 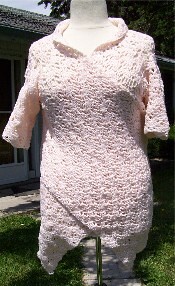 A terrific project for the first time lace knitter. * OMG - I am SO gonna have to make this, I love it! 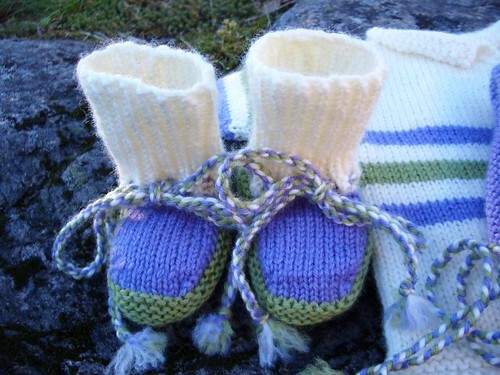 * Very cute baby booties! I have serious love for Pat Ashforth & Steve Plummer - their stuff is amazing! Your blog post reminded me to buy new running shoes. 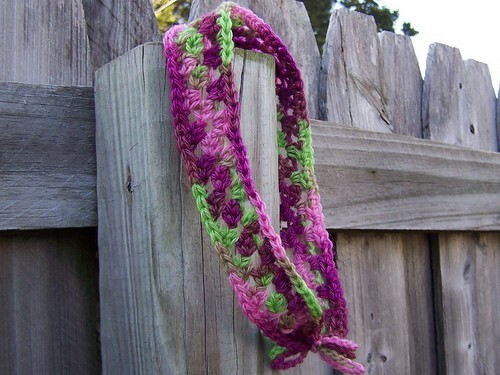 I love that you blogged my headband pattern! That is the most gorgeous one I’ve seen yet. What was the yarn? I think the yarn is Palana, but I’m not sure ~ I found it on clearance at SAFF last year! :) I adore the color, so I’ve been trying to make it stretch into several projects rather than just one. LOL!